Rock on with all Eight Seasons of the grooviest show to ever hit the air waves! 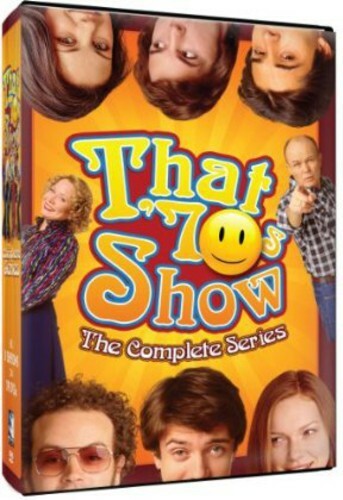 Flash-back to the decade of disco with Eric, Kelso, Jackie, Hyde, Donna and Fez in this 24 disc set of hilarious retro-comedy. From chillin' out in the Forman's basement to hittin' the road in the Vista Cruiser this Complete Series leaves no peace, love and hilarity behind. So tune in and prepare to trip out with the funky fooleries of your favorite groovy gang!